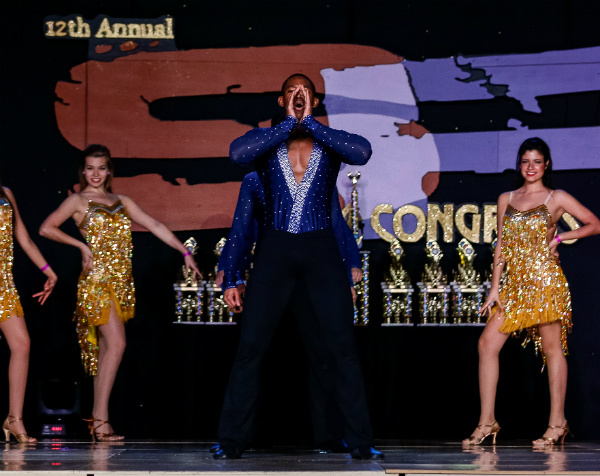 Did you miss our performance from the SF Salsa Congress last week? Here’s the video of the team performing on stage at the 13th Annual San Francisco Salsa Congress! Video of the competition team coming soon. Spartan Mambo will be performing this weekend at the 13th Annual SF Salsa Congress! This is the largest salsa event in the Bay Area, drawing 3,000 dancers from around the world, and is the big event we have been working towards all semester. If you would like to watch the show, we will be performing during the Saturday afternoon show at 3pm. The competition team will also be competing in the World Salsa Challenge which is held on Sunday night starting at 7pm. Tickets will be available at the Oakland Marriott Convention Center. You can also watch the show streaming live at ClickStreamTV.